The mixed-use Edgecliff Centre in Sydney has been sold. 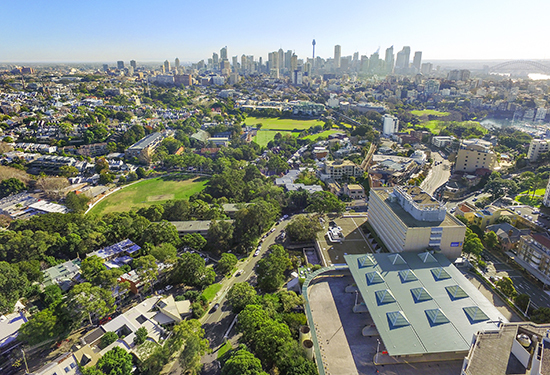 Popular Sydney mixed-use shopping and office hub the Edgecliff Centre is on the market for the first time in 20 years. Having been by the same owner for decades and with demand for retail centres at historic highs, the neighbour shopping centre and six-storey office building is being touted as a “generational opportunity”. The centre, spread over 10,845m of lettable space, lies in one of Sydney’s most affluent areas, 4km east of the CBD and near Darlinghurst and Double Bay. It is being marketed by JLL’s Simon Rooney and James Aroney and Knight Frank’s Dominic Ong, John Bowie Wilson and James Parry. Rooney says inner-city shopping centres were rarely presented to market. “We are seeing a real investor leaning towards these well-established, resilient and secure mixed-use investments in absolute core locations, which are obviously very hard to replicate,” Rooney says. Sydney’s Edgecliff Centre lies just 4km from the CBD. Aroney says the centre’s office component was one of the few opportunities for contiguous office space in Sydney’s fringe market, where vacancy rates have dropped to a national low 4.3%. The Edgecliff Centre’s retail component is anchored by an Aldi supermarket, with another 24 specialist shops. The building’s tenant profile is also like to prove attractive, with some tenants having occupied space within the centre for more than 20 years. Ong says the property’s location and neighbouring transport links will boost its appeal.